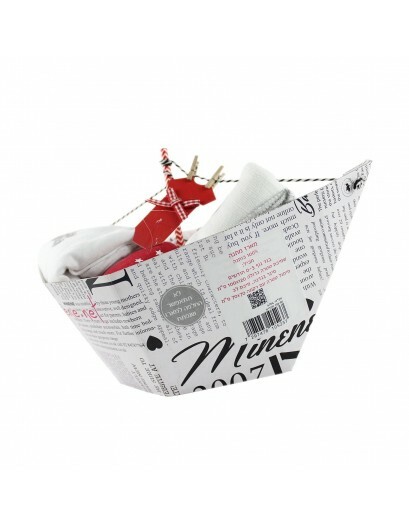 This gorgeous Newborn Gift Box is part of Minene in Monochrome Gift Collection. 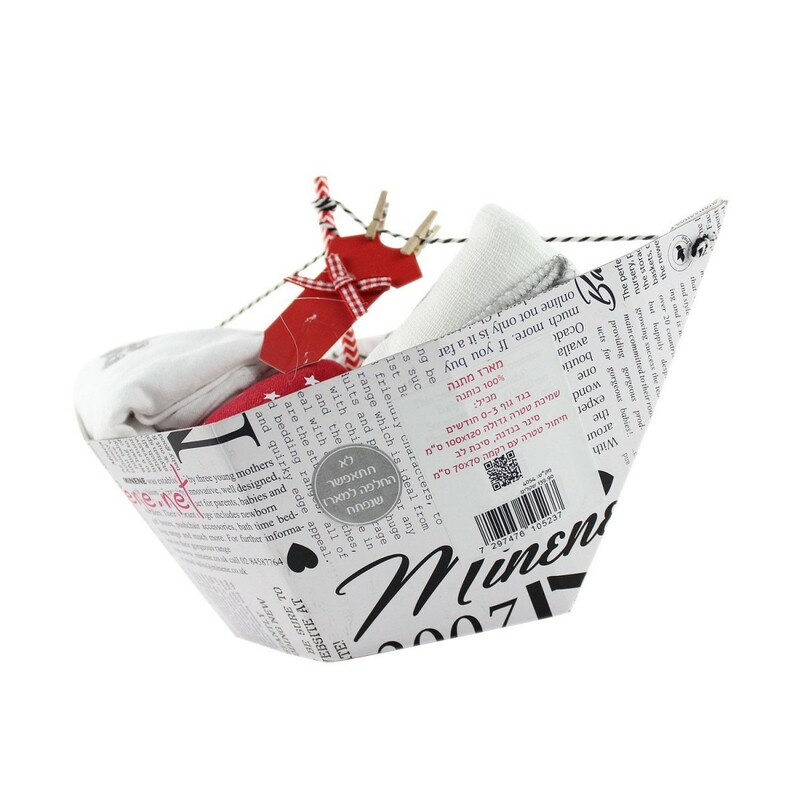 The petite boat is a 5 piece gift box that includes bodysuit with applique, a super size muslin, bandana bib, heart pin cushion and muslin with applique all packaged within a gorgeous boat gift box and finished off with a cute little gift tag. L\36.5cm x W\8.5cm x H\12cm.